Third-Party Logistics Provider: A firm which provides multiple logistics services for use by customers. Preferably, these services are integrated, or “bundled” together by the provider. These firms facilitate the movement of parts and materials from suppliers to manufacturers, and finished products from manufacturers to distributors and retailers. 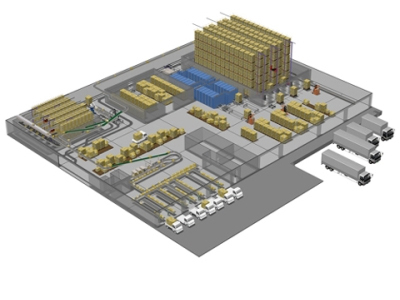 Among the services which they provide are transportation, warehousing, cross-docking, inventory management, packaging, and freight forwarding. 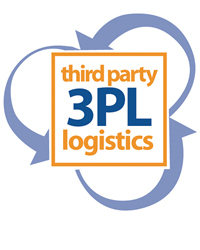 Third party logistics companies (3PL) are becoming an important part of today’s supply chain. These logistics companies offer services that allow businesses to outsource part or all of their supply chain management functions. Many 3PL companies offer a wide range of services including: inbound freight, freight consolidation, warehousing, distribution, order fulfillment and outbound freight. The growth of 3PL companies has been driven by the need for businesses to become leaner, reducing assets and allowing focus on core business processes. The growth of 3PL companies began back in the 1980’s when businesses began to look for new ways in which they could outsource logistics functions and concentrate on their core business. As companies saw the benefits of outsourcing delivery and warehousing functions, the number of third party logistics companies began to rise offering an ever increasing number of services. The increasing numbers of 3PL’s inevitably led to increased competition between these firms, which led to greater savings for the companies who employed them. The last decade has seen the 3PL provider transitioning from a local or regional business to one that offers national or global coverage. Deciding to a use a third party logistics company is a decision that depends on a variety of factors that differ from business to business. The decision to outsource certain business functions will depend on the company’s plans; future objectives, product lines, expansion, acquisitions, etc. Once a decision has been made to outsource certain processes, a company will begin a search for the right 3PL that fits all their requirements at the best possible price. Our logistics directory aims at helping you find the best logistics company to establish a long lasting and profitable relationship with. Feel free to use our search bar to locate logistics companies by country, ZIP code or city. Input location first, and then refine your search by adjusting distance, and by selecting the category.